After a couple of years of not doing any ultra distance events, last year got back into them but first racing the Hoodoo 500 as part of a four person relay team, then later riding the Knoxville Double. So I decided, with the encouragement of Anne, to do the Solvang Double in March of 2013. It will be the 5th time I have done this particular double, but this time it will be right on my birthday, the day I turn 65 years old. I thought what better way to celebrate such a milestone birthday. Well it all seemed like a good idea early this year but then we decided to make our trip to Japan in February. It seemed difficult getting back into training after that trip and I feel I have to cram in a lot of riding in the last month. I keep a detailed training log and when I am training for a big event I plot my miles and feet of climbing as I progress, and compare it against prior years and events. This time I didn’t really do that but decided to do it now to see if I might be ready. Although getting off to a good start the first 5 weeks of the year the effect of the travel to Japan is obvious. The 2008 and 2009 lines are comparable because those were also for Solvang. As expected the 2012 line is much higher because that included racing the Hoodoo 500 around week 9, then doing the Knoxville Double on week 13 and later in the year at peak training season. It seems that I am the lest prepared of any double I have done in the past several years. 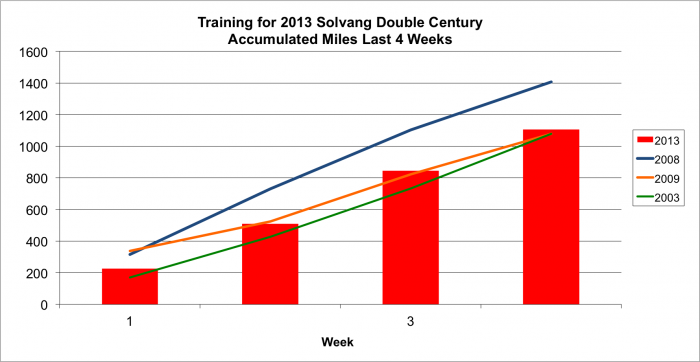 So I decided to look at only the last four full weeks of training and only for the Solvang Double, which occurs early in the year. I figure the last four weeks of training are the most critical. Now I am feeling better, but not completely. In 2009 this four weeks was after finishing the Death Valley Double, a month earlier than Solvang. 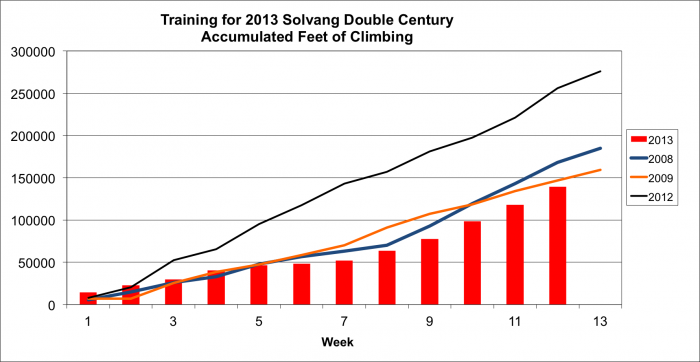 I figure training is an accumulated thing so how well we can bike at any given time is based on the past, with the most recent past having a larger influence. Besides miles, I also track feet of climbing. 2012 is a bit of abnormality as I mentioned before. 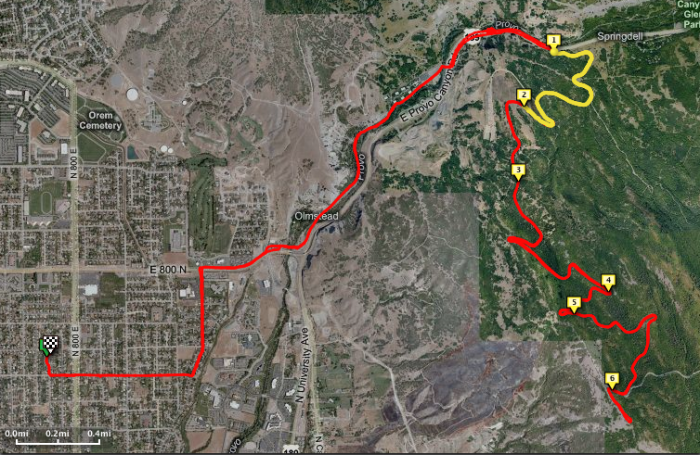 This was the training for and racing the Hoodoo 500, then coming off of that for four more weeks of training before doing Knoxville, which is a much more difficult double than Solvang. Looking again at only the last four weeks of full training and only for Solvang it looks like this. 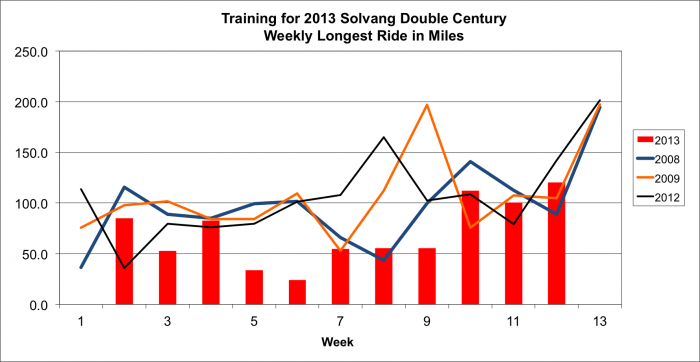 The distance of the longest weekly ride is the last chart I do. You can see in 2009, the Death Valley Double in Week 9. The last 3 weeks, week 10-12, I am close enough to prior years, especially if you consider the past becomes decreasingly less important the further you go back. 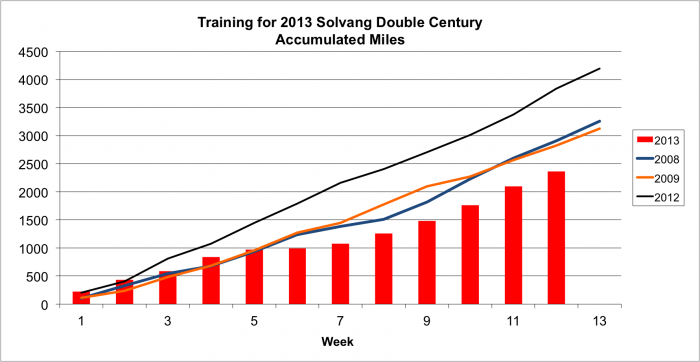 Of course that principle does not mean you should be training hard right to the event because you do need to taper, and my last full week of training was about 50 miles less than the prior week. 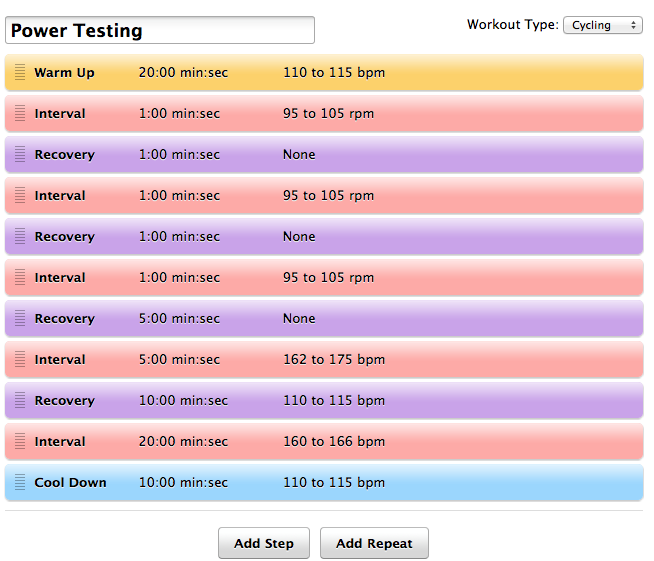 This week I plan to do short rides and one interval training, more in alignment with tapering. 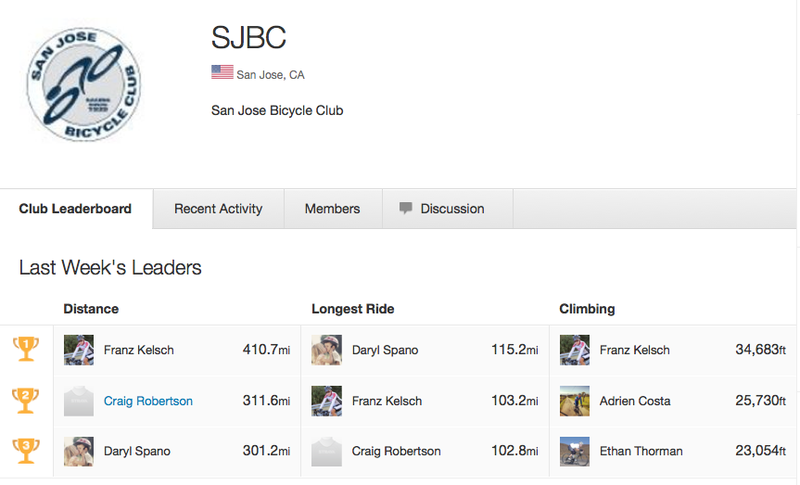 This will certainly not be my fastest Solvang Double but I feel I can complete it and not DNF. 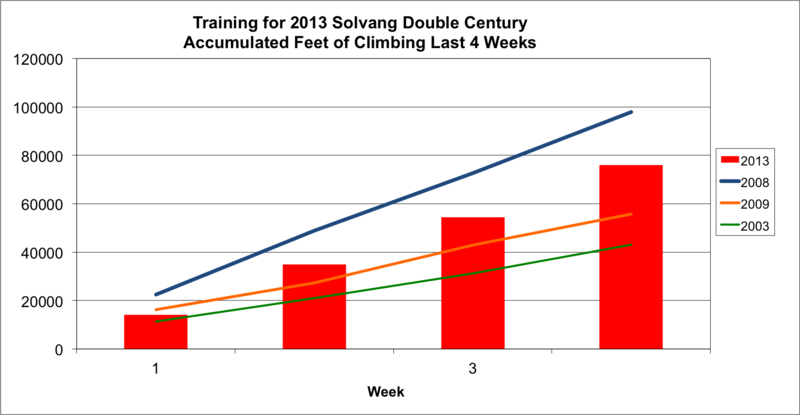 Looking at the above charts I can see that in 2008 I did my best training for Solvang and that was the year when I finished the ride in under 10 hours. I have no aspiration of a fast time this year. It was an interesting year in sports. 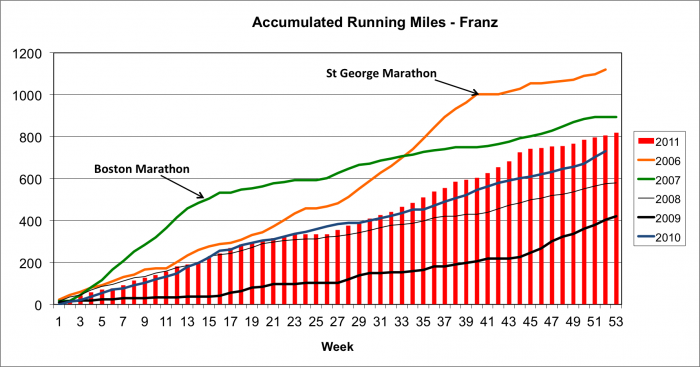 I started out the year doing about as much running as I did last year, although not quite up to the level of the years when I ran a marathon. 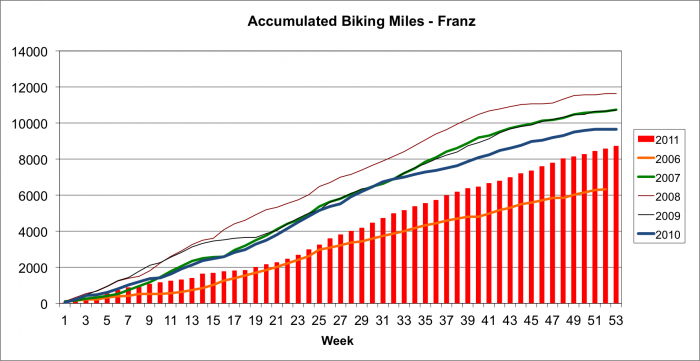 Then toward the middle of the year my running dropped off considerably as I ramped up my biking to train for the Hoodoo 500. 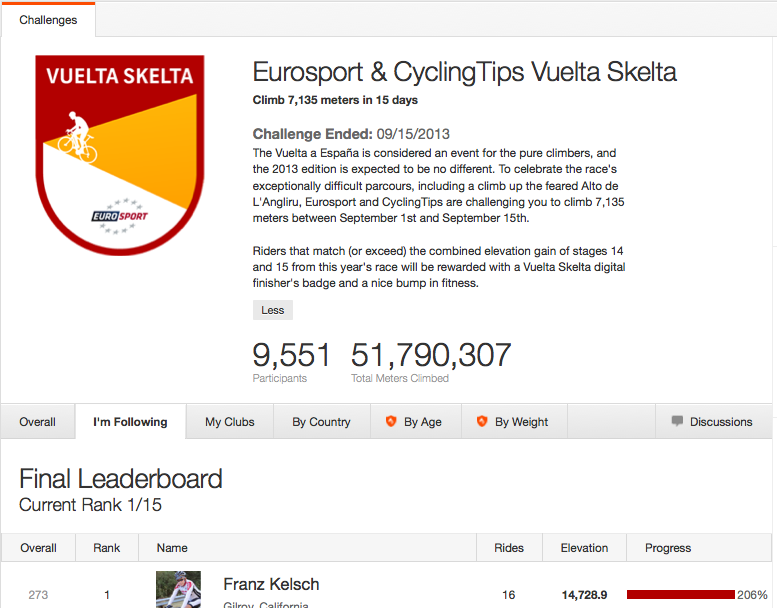 I ended up the year with two personal annual cycling records, the most miles bike and the most feet climbed. It was the first time in my life when I biked 12,000 miles in a year, which means I averaged 1,000 a month. 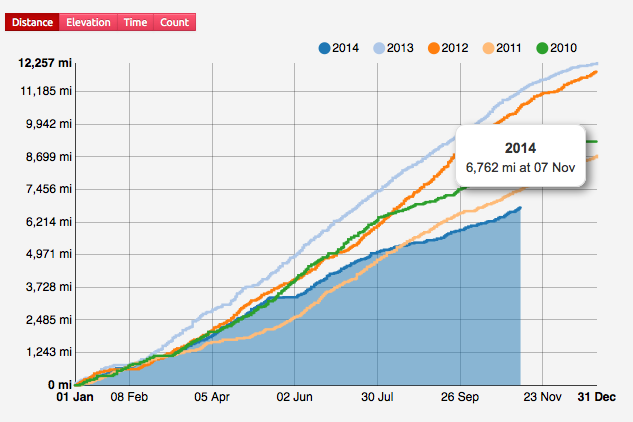 I had hoped to reach 800,000 feet of climbing, but did not quite make it, but did exceed my prior best year. Since 1988, I have used Excel to keep track of my training. 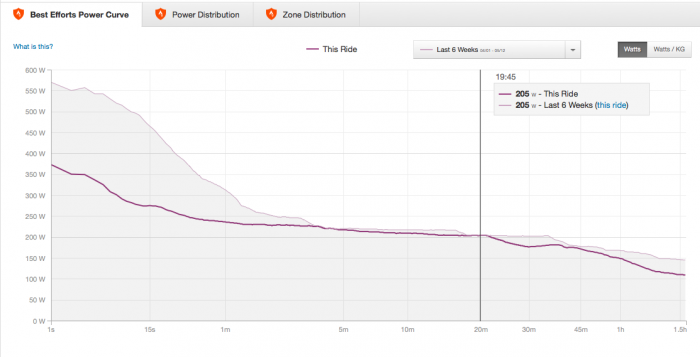 Initially it was just running and I would track how many miles I ran each date and the pace. Later when I got into biking, the log expanded to track cycling, then later track the mileage on my bicycles and the various componets. Over the years this Excel file became increasingly complicated. Track which club or non-club miles I cycle. This manual entry was becoming a chore after all these years so I sought to automate the process. I looked at the above and decided to scratch the last entry since no online training log let’s you record that. I still wanted to track how I was doing against prior years, using my old training log data, so none of the online training logs are by themselves are sufficient. I finally came up the approach to modify my current Excel file, which has sheets for all prior years, a sheet for my bike component log, and a lot of other training specific data. But instead of adding a new sheet for 2012 with places for every single workout during the year, I added a sheet for 2012 with weekly totals. A small section looks like this. If you look across the actual Excel file you will see similar blocks for my running, as well as Anne’s running and biking. I decided it was no longer necessary to record every workout in this Excel file, just the weekly totals. That allows me to plot how I am doing compared with prior years. Initially I was going to manually enter this data but found a much easier way. Since I upload my GPS devices to Garmin Connect, I use the great report feature in that program to export to CVS files. I just select the report type “Group by Week” for “This Year”. After doing a one time customization of the report to get the columns I wanted, I then select Cycling and export the CVS file. I repeat for running. Then repeat for Anne’s Garmin Connect information for both running and cycling. This creates four CVS files. In my main Excel file I use links to these external CVS files to fill in all the data. It is not something I need to do very often, just when I want to see how I am doing. Even if I do monthly, I will still get the data in a weekly total format. The only missing item is the mileage on each bicycle. 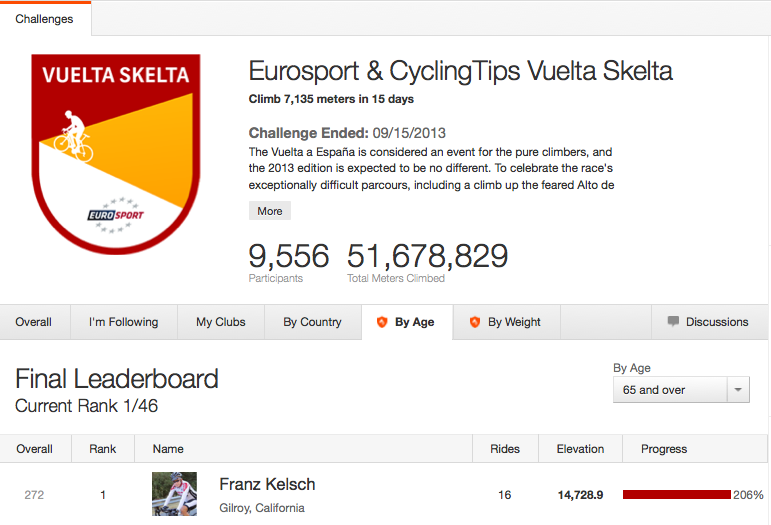 For that I end up doing some manual entry, here taking the data from Strava.com which allows you to track your rides by bicycle. I just enter the current mileage on each bicycle and use that in my existing formulas on component wear. Hopefully if Gramin Connect ever adds this feature I can automate that also. 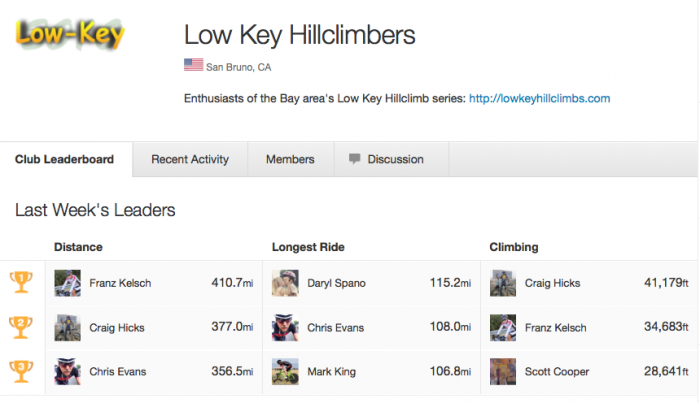 I might just switch over and add all the components in Strava.com and only use that for component tracking. In Excel I track all components on all bikes. This example is for one of the bikes. Using this new approach, I can still easily see how my running and cycling are doing compared with prior years. This shows how I did in 2011 compared with the prior years. 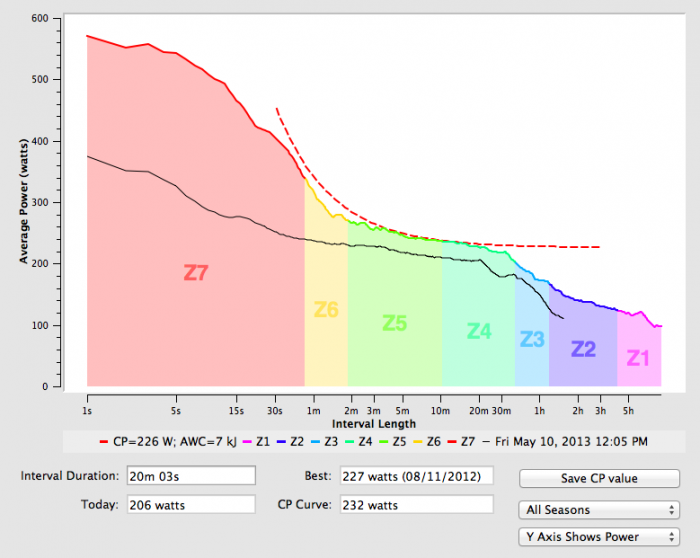 Now for 2012, I will still have similar graphs, but using the data that is auto filled in from the Garmin Connect CVS files. 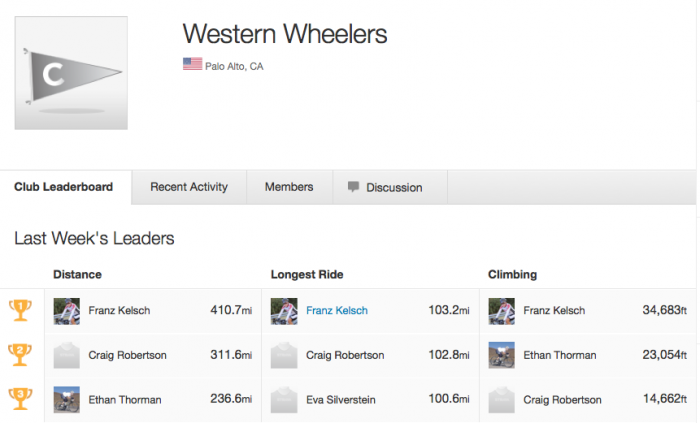 I have friends who don’t even use a cyclometer to cycle with and have no idea how many miles they have ridden. But I also notice these same guys are always having some issue with cassette wear because they didn’t change their chain until it was too late. It might be the engineer in me that loves to see the data so I know how I am doing and how my bikes are doing. Now I have an effortless way to get that data in a format I can use for my own purposes and not rely on the limitations of the online training logs. For most people this is more than they will want and are happy to just use what one of the online training logs offer, but if you want to get things in a format you can manipulate for your own purposes, this might give you an idea. We returned from a month stay at our Utah home and had a great time. 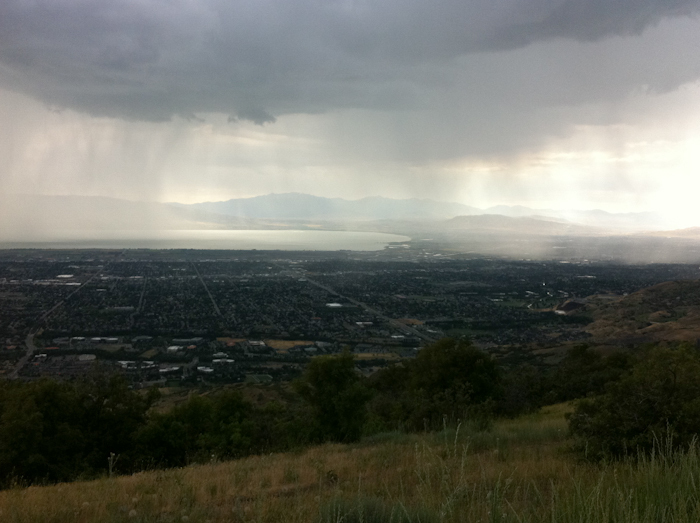 The cycling up there does not have the variety we have in California, but we enjoy riding with the Utah Velo club. Not sure why, maybe because their riding is a fairly good match with our abilities. The Utah Velo club Saturday ride have about 25 people and their is just enough regrouping so most everyone can get back together. The ride leader is great and is very good at controlling the group. Doing rides with less climbing than we do in California does make this all much more possible. 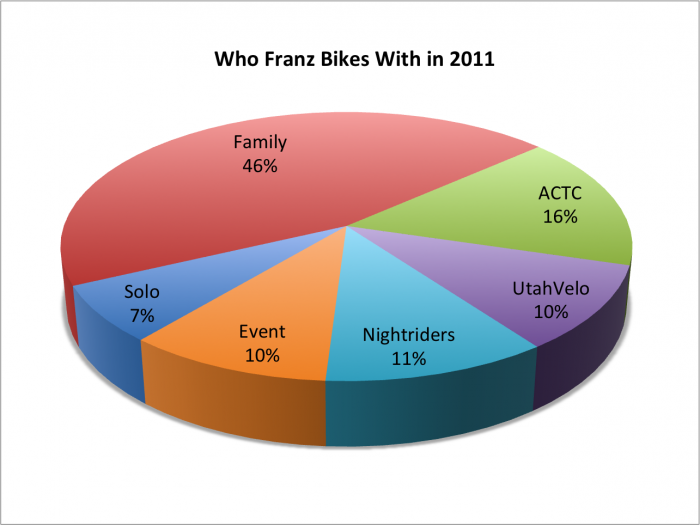 While I once did a lot of cycling with ACTC in California, that is not the case so much anymore as you can see from this chart. 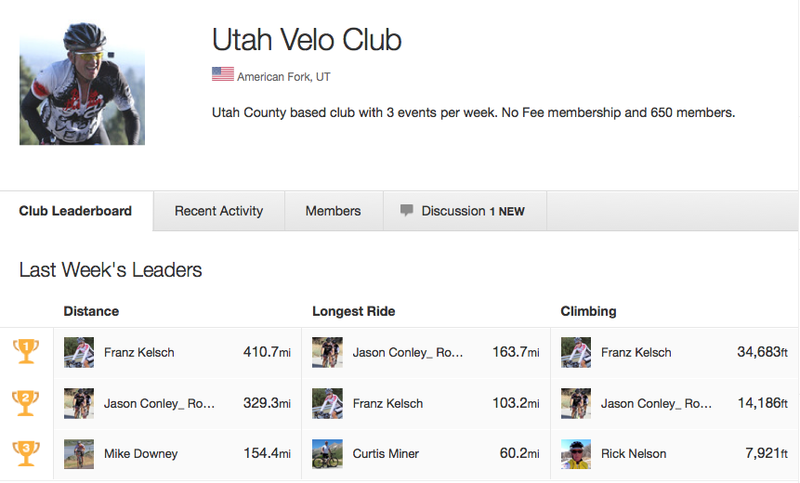 Our time in Utah this year has been limited, but miles with that bike club has been almost as much as with ACTC. When I am California I prefer to bike with my cycling friends, the Night Riders, which is a ad hoc group that just does what we want to do, when we want to do it. 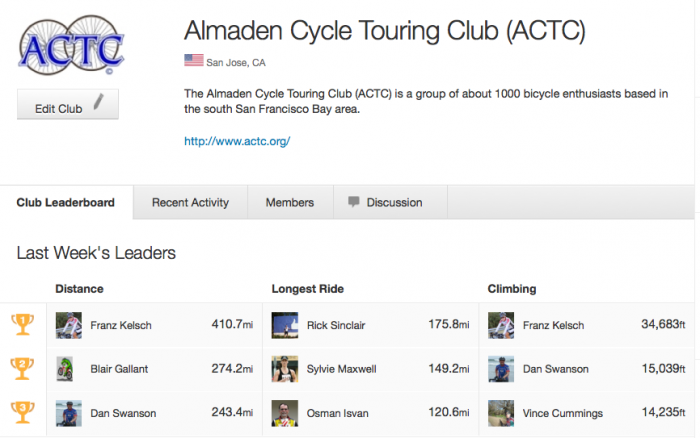 ACTC, on the other hand, is a inflexible club, with it’s own way of doing things and rides that are schedule many weeks before they happen, when the weather conditions can not be known. ACTC is a very diverse club with all types of riders and although it has a lot of rides, more than most any other club, I have little interest in most of them. Some involve too far of a drive from our house. Most have a pace that is too slow for us with too frequent and long regroups. Some rides seem more focused on getting to some place to eat than riding the bike. Others are oriented to try to do the most number of different billy goats (climbs) rather than finding the most interesting route. 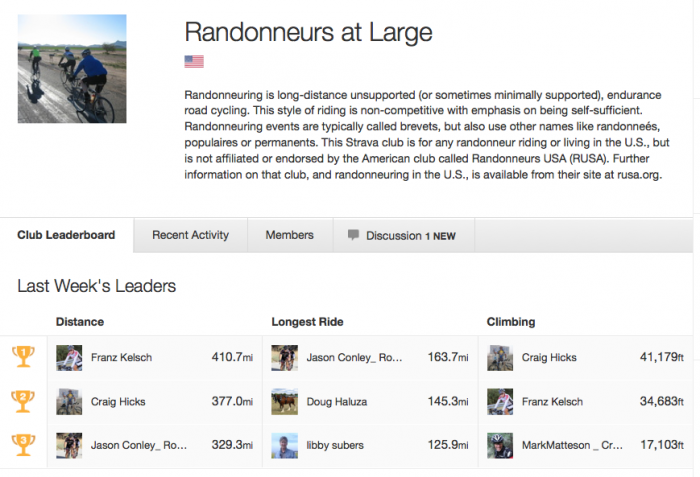 Others are geared to only ride a long distance and there is little group riding on those. There is nothing wrong with any of these and they meet the needs of many. It is just curious that with such a diverse group of rides that there are so few rides that interest me. I have the great advantage of being able to bike with my wife, Anne, and sometimes my children. 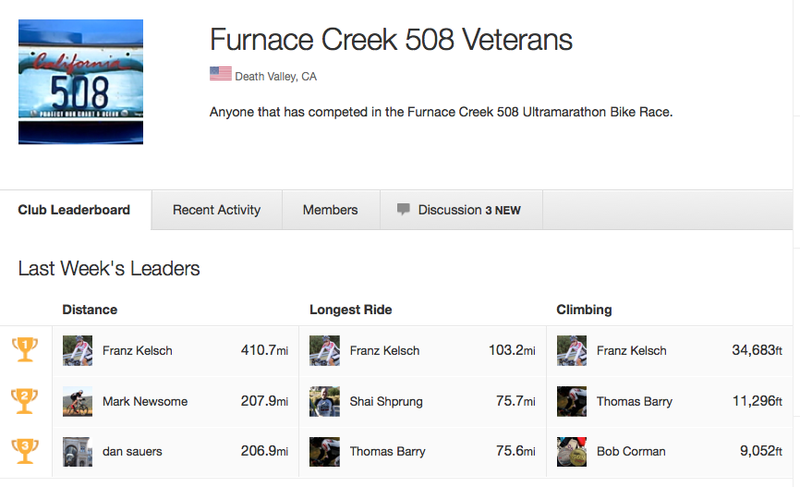 Also I have some great cycling friends that are nearer my home. Those meet most of what I want to do when I am in California. 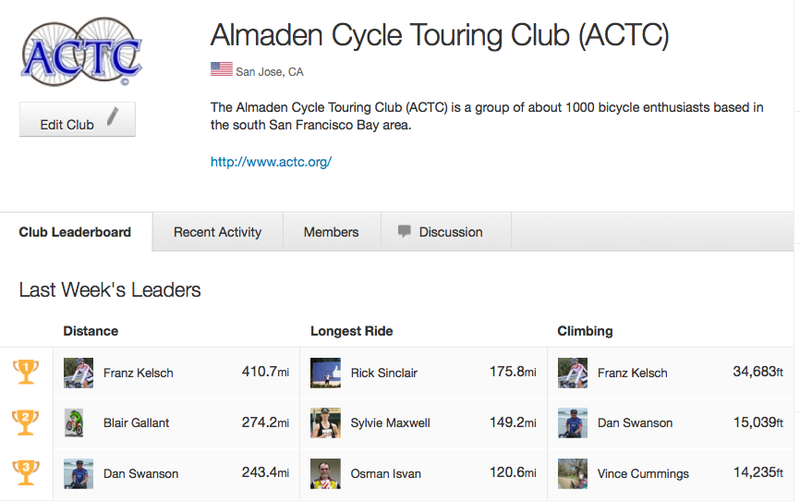 I am glad that ACTC does exist and still do quite a few rides with them. However my cycling with that particular club in on the wain.